5 Problems Facing Space Exploration? 5 Problems Facing Space Exploration Today? 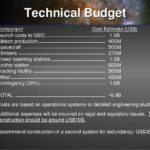 The following 5 problems facing those who wish to get in on Space Exploration and Space Commerce must understand the current situations. 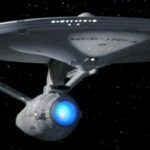 Space Commerce and Space Exploration will be very lucrative businesses of the future. Providing new businesses can get funding without crippling them before they start..
Before humans can inhabit space, asteroids, the moon, Mars or any other planet we must first overcome the number one problem (end of our list), and the second biggest problem. Government always wants to complicate matters by making rules and regulations that prohibit small businesses from participating or just to get started. Rules and Regulations are necessary and must be in place but in the beginning of this industry Rules and Regulations must be in a relaxed state to help build the industry. This will encourage fast development in all areas needed to for the safety and profitability of all involved. Technology needs to be developed to ensure the survival of humans in space.. Currently we use Rockets and fuel tanks (Space X and Blue Origin are still working on reusable rockets). This mode of transportation is outdated and obsolete. 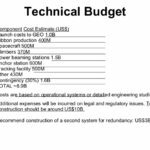 The cost to develop other methods of transportation is still extremely expensive. 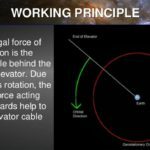 Space Elevators are the most logical system that we could build to get things into space. 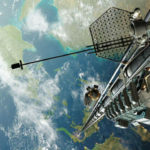 Space elevator technology is just now being developed to build them. 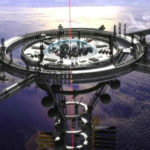 1st Space Bank will also finance new technology to build space elevators. These estimates are far to low to be really accurate today. 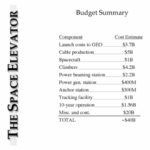 The real cost to build a space elevator is more likely to be ten times these estimates. 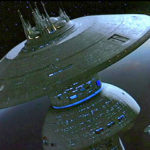 Star Trek Research Satellite in today’s money would cost 1-10 Quadrillion to build. Have you ever asked why we aren’t traveling in space today? #1 Money was and is the primary reason and #2 Politics was the second. Governments have the problem of budgets and pleasing their constituents (you and I). Other programs took precedent over the space program. When we began using the Space Shuttles over 40 years ago most Americans thought that we were well on our way to becoming space travelers. Answer the following questions and you will discover that it all comes back to money. 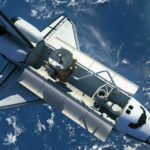 Why wasn’t the Space shuttle ever upgraded to last well into the future? Why was it canceled? Wikipedia gives some insight to this question here. Why aren’t we going to space everyday? After all it has been almost fifty years since we set foot on the moon. What happened to making space accessible to everyone? 1st Space Bank will solve this problem by financing all space projects now and in the future. By creating a new global system that can be accessed from anywhere on Earth and in our solar system. It also requires that we create a new currency that exceeds all Earth based currencies. For now we are calling it Sollars (sol-larrs) or Solar Credits. The bank will be funded with 999 quadrillion Sollars or Solar Credits. This will ensure that we can finance the Mega Projects of the future as well as finance colonies on the moon, Mars or an asteroid. Our goal is to advance the human exploration of space in as little as 10 years. As with Bit-Coin–acceptance of the new currency will require that everyone and all governments get on board and accept it. We need to face the simple fact that there just isn’t enough money on Earth to finance space research, development, or finance new technology that is needed to get us off the planet. Let alone find ways that will help insure the survivability of humans in space or on another planet. Government space programs can be funded through us by depositing their currency into our bank and receiving the equivalent amount (£ = 13.5 Sollars) on deposit. No need to borrow money unless you want to or you want to accelerate your space programs. The requirement is that anyone that wishes to contract with one of our clients should have an account with us but isn’t necessary and the contract must be in the currency of the country of origin. Example: NASA wants to do business with Company X, Company X gives NASA their bid in British Pounds. NASA then uses 1 Sollar for 1 British Pound (converting British Pounds to USD) to purchase the services of Company X. Company X then deposits the British Pounds into their account at 13.5 times. Thus giving them the ability to purchase more goods and services from others. Anyone or any company can use the bank and take advantage of the exchange rate currently being offered. In the future we will have in place a matrix or index that is used to value the new currency. It will not be tied to any Earth based currency instead use an index of precious metals and precious stones. The current exchange rate was determined using this method. It will follow the same principals as the Dow Jones Industrial Averages or any other Exchange. Using our new currency 1st Space Bank will finance the technology to build these mega projects and more. 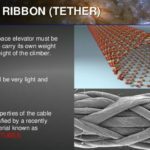 We have set up three prizes to anyone that can design and build a Space elevator, asteroid mining technology, new cutting edge technology that will make rockets obsolete. Why make so much money available to everyone? We believe that we are long overdue for a catastrophic event that could wipe out humanity. Putting that aside it is the next logical step in our evolution. Once we are in space we face many other obstacles. Besides the obvious like no oxygen, water, and gravity. Radiation protection is another obstacle. I will continue this as time permits. Other Problems Facing Space Exploration? The following list is to show a few of the problems we face in space and all of it requires lots of money. Everything we do in space always comes back to the major obstacle facing all of us to get into space and that is MONEY. If you don’t have enough of it you cut corners or purchase O-rings that aren’t suited for the job. Cutting corners to save money is a devastating method for space exploration. We lost lives on the Challenger in 1986 because of it, as well as Colombia in 2003. Since 2008, MIT economist Tavneet Suri has studied the financial and social impacts of Kenyan mobile-money services, which allow users to store and exchange monetary values via mobile phone. Her work has shown that these services have helped Kenyans save more money and weather financial storms, among other benefits. Now, Suri is co-author of a new paper showing that mobile-money services have had notable long-term effects on poverty reduction in Kenya—especially among female-headed households—and have inspired a surprising occupation shift among women. Published in today’s issue of Science, the study estimates that, since 2008, access to mobile-money services increased daily per capita consumption levels of 194,000—or 2 percent—of Kenyan households, lifting them out of extreme poverty (living on less than $1.25 per day). But there’s an interesting gender effect: Female-headed households saw far greater increases in consumption than male-headed households. Moreover, mobile-money services have helped an estimated 185,000 women move from farming to business occupations. “Previously, we’ve shown mobile money helps you with financial resilience. But no one has understood, if you improve resilience, what happens over the longer term. This is the first study that looks at long-term poverty reduction and at gender,” says Suri, an associate professor at the MIT Sloan School of Management, who co-authored the paper with longtime collaborator William Jack, an economist at Georgetown University. By 2015, more than 270 mobile-money services were operating in 93 countries, with an estimated 411 million accounts. The Kenyan study is important, Suri says, because it shows that mobile-money services aren’t just conveniences but do, in fact, have a positive impact on people’s livelihoods. “[That] can be useful for regulators trying to figure out if they want to allow it in their country, or whether someone wants to start a service in their country as an entrepreneur,” Suri says. The study looks at M-PESA, the country’s most popular service, which launched in 2007 and has more than 25 million Kenyan users. There are more than 120,000 M-PESA agents scattered around the country, who handle deposits and withdrawals. In 2010, Suri and Jack co-authored a study that showed M-PESA helped users borrow, save, and pay for services more easily. A 2012 study by the pair showed M-PESA helped Kenyans manage financial uncertainties caused by crop failures, droughts, or health issues. The idea is the M-PESA users can use a wider network of support, and receive payments more quickly, during dire financial times. This new paper is “the grand finale” of the researchers’ long-term examination of the impact of M-PESA in Kenya, Suri says. For this study, the researchers compiled surveys of 1,600 households across Kenya over the years, looking at, among other things, average daily per capita consumption—meaning total money spent by the individual and household—and occupational choices. Instead of looking at the number of individuals using M-PESA, the researchers measured the rise in the number of service agents within 1 kilometer around each household—or “agent density”—during early rollout of the mobile-money services. They then compared the consumption and occupation, and other outcomes, of households that saw relatively large increases of agent density, with those that saw no increases or much smaller ones, over the years. Not surprisingly, households where agent density increased by five agents—the average in the sample—also saw a 6 percent increase in per capita consumption, enough to push 64 (or roughly 4 percent) of the sampled households above poverty levels. The World Bank defines spending less than $1.25 per day as “extreme poverty,” and spending less than $2 per day as “general poverty.” Mean daily per capita consumption among the sample was $2.50. The impact was even more pronounced among female-headed households. When agent density rose—from zero to six agents over six years—these households saw a daily per capita consumption increase of about 18.5 percent. This level of agent density growth also reduced extreme poverty among female-headed households by 9.2 percent, and reduced households in general poverty by 8.6 percent. Another surprising finding, Suri says, was that increases in agent density caused about 3 percent of women in both female- and male-headed households to take up business or retail occupations over farming. These occupations generally entailed single-person businesses based around producing and selling goods, which is made easier by mobile money, Suri says. “You used to grow vegetables, but now you take your vegetables to the market and sell them, or you open a little food cart or kiosk,” she says. Using extrapolation methods on their data, the researchers estimate that the spread of mobile-money services has helped raise 194,000 Kenyan households out of extreme poverty, and induced 185,000 women to work in business or retail occupations over farming. Exactly why M-PESA causes increases in per capita consumption and shifts in occupation remains unclear, Suri says. But the researchers have a few ideas, one being that more secure storing of money leads to better financial management and savings, especially among women: The study found that female-headed households that saw greater agent density also saw around a 22 percent rise in savings. The researchers also think mobile money could give women in male-headed households, who are also usually secondary income earners, more financial independence, which could help them start their own businesses. “As a woman, sometimes you’re not able to save on your own, because cash gets used by the whole house. [Mobile money] allows you to keep separate cash and … manage a source of income on your own,” Suri says. Moving forward, Suri and Jack now aim to conduct similar research on the impact of mobile-money services on poverty in Uganda, Tanzania, and Pakistan “to find out if this is just an effect for Kenya or more systematic across other countries,” Suri says. 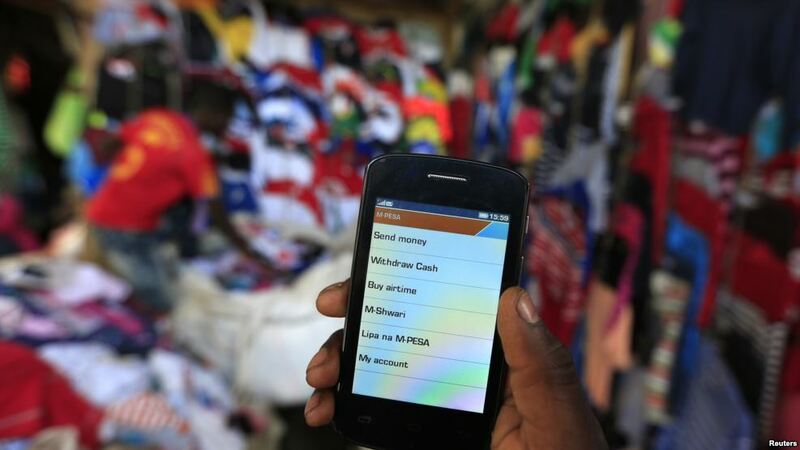 Explore further: Can Africa’s mobile money revolution reduce poverty?